It began as a hobby in the late 90s: performing as a mobile DJ for weddings, functions, parties and corporate events. In the course of time, this love of music gradually shifted towards becoming a passion, one that was put on hold for 11 years. It wasn't until 2010 that he turned his passion into a career. What started as chasing a dream was now turning into reality. Since Nov 2010 Steven has been creating his dream: a native of Perth, Western Australia, started his music career as resident DJ for a pub in Fremantle, getting guest spots in clubs and events around Perth and appearing at leading venues and radio stations. 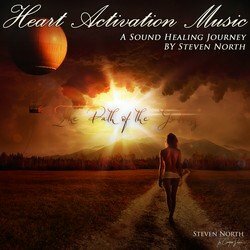 In 2015, through hardships, Steven delved into Music and founded the Heart Activation Music with his meditation music albums being publicly released in 2016 and used by people around the world. Today, influenced by every culture, Steven makes music that is aimed at expressing emotions such as love, happiness and that everything is one. The Path of the Goddess by Steven North is a song that is produced to explore the love that is expressed through all that embrace that of the Goddess. The Goddess is defined as that of Mother Mary, Kuan Yin, Red Tara and other female dieties through the various human civilisation's culture.